January 20, 2018 (Ulson Gunnar - NEO) - The United States has pursued a decades-long policy of encircling, containing and if possible, undermining China as part of a larger strategy of achieving and maintaining what US policy papers call "primacy" over Asia. US policy has led to deeply-rooted networks operating within China's borders and along China's geopolitical peripheries to divide and destabilize the immense and increasingly powerful Asian state. These networks are funded and supported regardless of who occupies the White House. While the rhetoric shifts from president to president regarding "why" the US is providing so-called "activists" and "opposition" fronts aid, the aid and the agenda it serves continues. Under current US President Donald Trump's predecessor President Barack Obama, this ongoing policy was marketed to the American and international public as the "Pivot to Asia." It was spun as a means for the US to reengage with Asia but in reality constituted an overt attempt to co-opt the governments of China's neighbors and break up the region's growing ties with Beijing. Obama's "Pivot" was a failure, but one within the greater context of a general decline in US primacy both in the Asia Pacific region and around the world. Under Trump, this policy of encircling and containing China continues. 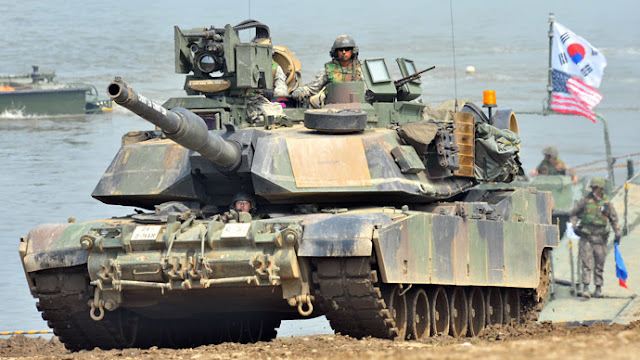 It is now marketed to the public as an "Indo-Pacific" strategy, with the US forced to court India, Australia and Japan on the fringes of Asia Pacific after failing to make progress within Asia Pacific itself. It is important to understand just how long-term these polices are so that when Trump announces them to the public, the public understands that it is not "Trump's" policy, but simply Trump continuing to carry out the agenda of the very special interests (the so-called "Deep State") he vowed to resist upon taking office. Understanding that these policies serve special interests and at the cost of the American public helps inoculate the public to rhetoric claiming that confronting China and destabilizing Asia is somehow part of "making America great again." Tibet is one of the oldest and most clear-cut examples of a political controversy used by Washington to target and undermine Beijing's credibility. It should be noted that the document specifically mentions "the containment of Chinese Communist expansion." The policy of creating "autonomous" regions within a sovereign state aimed at "lessening the influence and capabilities" of a targeted central government is a policy that should look familiar to any impartial observer of contemporary US foreign policy. It is not only precisely the same policy the US openly pursues in the occupation and attempted partitioning of the Syrian Arab Republic, but it is also the very same policy the US is pursuing in another region of China, its western Xinjiang province. China's western province of Xinjiang is home to some 21 million people. 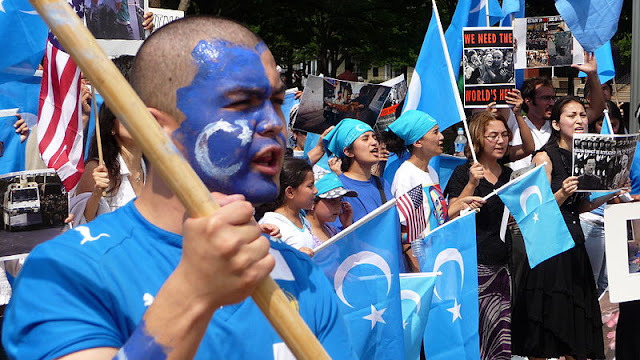 Of those 21 million, less than half are of the Turkic ethnic group known as Uyghurs. Practitioners of Islam, the US has used terrorist networks developed within NATO member Turkey to infiltrate, pervert and radicalize a fringe minority of the Uyghur community while the US itself openly funds and promotes separatism via political opposition fronts and across local and international media. Turkey's notorious "Grey Wolves" terrorist organization was wielded by NATO during the Cold War as a tool of political coercion. It is still used today by US-NATO interests both within Turkey and beyond, even as far as Southeast Asia. The Grey Wolves have been implicated in training and arming terrorist cells within Xinjiang. US support for separatism is exposed forthright with the inclusion of the term "East Turkistan," it being the name of the political entity US-backed agitators and militants seek to carve off from Chinese territory. 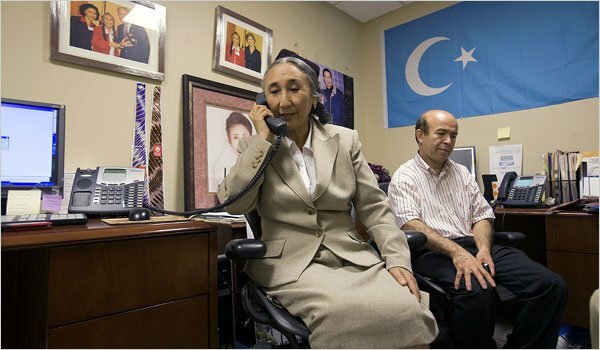 Over a quarter of a million US taxpayer dollars is allotted annually to the World Uyghur Congress (WUC), a Germany-based front with offices in Washington DC headed by Rebiya Kadeer who openly pursues separatism and who also refers to China's Xinjiang province as "East Turkistan." The US in its various policy papers regarding regime change elsewhere around the world has repeatedly admitted that "peaceful" movements like the WUC attempts to portray itself as are unlikely to succeed without an armed component to prevent a targeted government from simply uprooting foreign-funded sedition. Thus, just as the US State Department admitted it has done in Tibet, the US is clearly engaged via NATO-proxies and separatist political fronts it openly funds and directs, in efforts to "lessen the influence and capabilities" of Beijing in Xinjiang by attempting to create the "autonomous" region of "East Turkistan." Hong Kong was taken by the British Empire from China by force and occupied for over a century. When the British finally departed Hong Kong in 1997, it imposed upon Beijing demands instituting what is known as the "one country, two systems" under the Sino-British Joint Declaration. In essence, the British attempted to maintain Hong Kong as a political and economic foothold despite "returning" it to Beijing's control. Beijing has since incrementally dismantled this arrangement and has steadily reasserted its sovereignty over its returned territory. To counter this, the US and its European allies have organized, funded and directed "pro-democracy" protests in Hong Kong who focus primarily on coercing Beijing to uphold the UK's parting demands. The so-called "Umbrella Revolution" in 2014 was a textbook example of what is now widely known as a "color revolution." The protests consisted of leaders openly funded by the US State Department including Martin Lee who had literally visited Washington DC (NED event including full video here) pleading for aid just months before the protests unfolded. 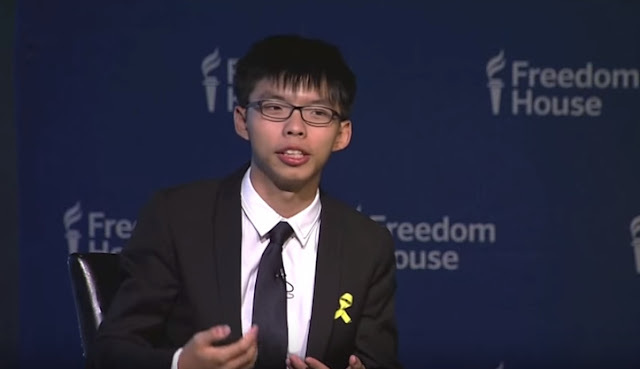 Another political figure crafted by America's immense media influence is Joshua Wong, a university student who repeatedly denied his sudden fame and political influence stemmed from ties with Washington, but who eagerly traveled to Washington DC to collect an award from NED subsidiary, Freedom House, upon the protests' conclusion. The "pro-democracy" protests in Hong Kong, when put into context of Washington's long-term strategy to contain and encircle China, are transparently illegitimate. 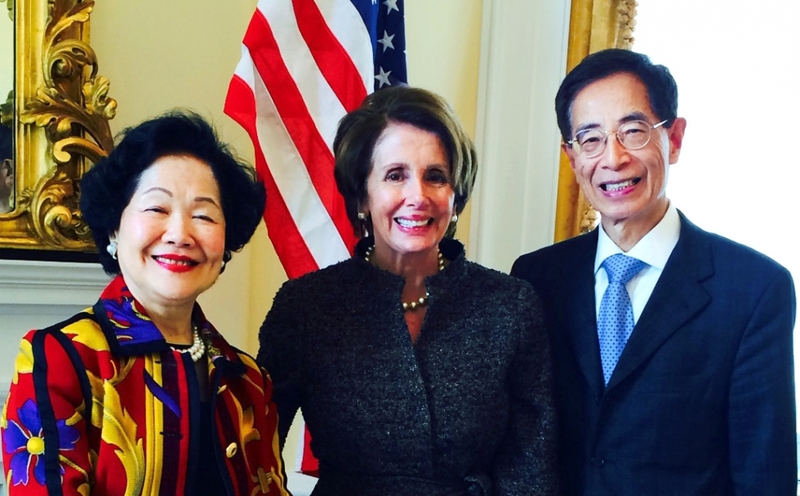 While figures like Wong insist they are pursuing "democracy" and "self-determination" for Hong Kong, with their movement entirely propped up by the United States and its European allies it is clear that they represent foreign interests, specifically at the expense of any notion of "democracy" or "self-determination" for Hong Kong. However, of these four nations, only Myanmar represents a partial success. 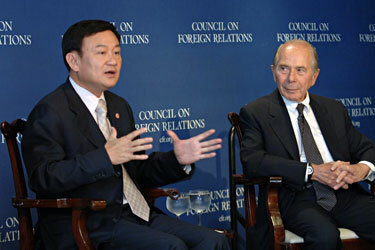 Thailand has ousted Shinawatra and his proxies from power, Anwar Ibrahim resides in prison and Cambodia has increasingly built ties with Beijing at Washington's expense. 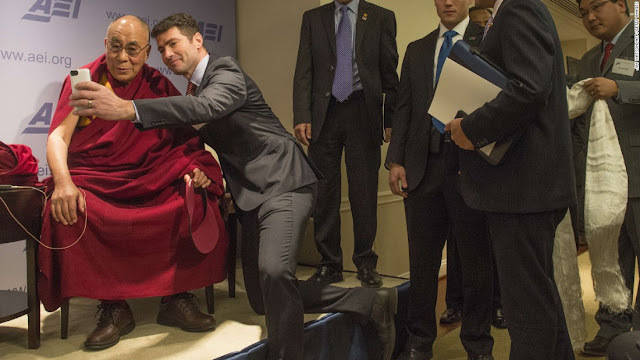 Upon a map, if China finds itself facing US-backed subversion along the west in Tibet, Xinjiang and its short border with US-occupied Afghanistan and to the east with US troops literally stationed in Korea and Japan, then US subversion in Southeast Asia represents a third front of adversity fueled by Washington and one that now continues under Trump's "Indo-Pacific" strategy. Of course, there are multiple theories to explain Washington's perpetual occupation of Afghanistan including its proximity to Pakistan, Russia and Iran. But Afghanistan also shares a short border with China. A US military presence on China's far western border helps bookend America's substantial military presence in Korea, Japan and the Philippines to China's far east. And while the US insists its presence on the Korean Peninsula is a matter of global peace and security, it is transparently obvious that it remains involved in and in fact fueling the conflict for the sole purpose of maintaining a military presence toward China's east as part of its wider, long-term containment policy. Far from a conspiracy theory, prominent Western policy analysts openly acknowledge this in their coverage of Japan's defense policy. "Paragraph 2 of Article 9 does not grant any legal standing for military activities abroad," Kobayashi is reported to have said. "Going to war abroad to help a friendly nation is a violation of Article 9," he said. 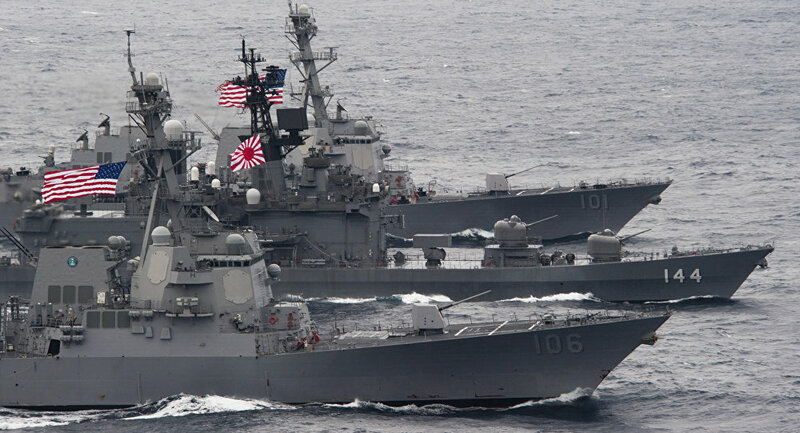 Japan possesses the ability to more than adequately defend itself from any aggressor, including China. Furthermore, if free of Washington's coercive influence bending Tokyo toward confrontation with Beijing, China and Japan could forge economic and defense pacts of their own that would make possible confrontations even more remote than they already are. US "ties" to Asian states including Japan represent a rather transparent effort to augment US primacy, offering little incentive to those being used. 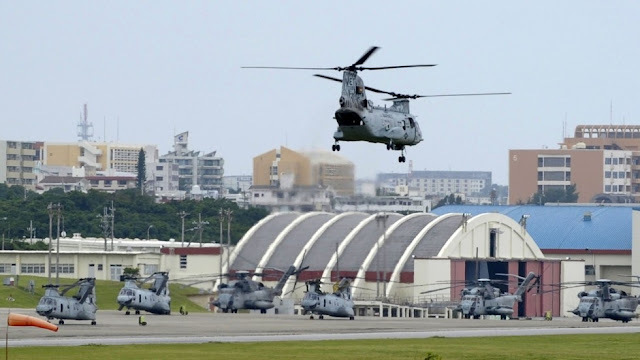 Japan, in other words, is viewed as an expendable buffer between US hegemonic ambitions and the states it is targeting to achieve that hegemony. Japan would then be first to pay the price for Washington's geopolitical miscalculations vis-à-vis Beijing. That these policies have been pursued for decades, indifferent to the White House's occupants helps shed light on those special interests that truly drive US policy and use political theater like that provided by the current Trump administration as cover to continue doing so with impunity. In the past when the US held uncontested global hegemony, both after World War II and again shortly after the Cold War, America paid few direct consequences for its actions abroad. Today, however, as US hegemony wanes and a multipolar balance of global power emerges, the US will increasingly pay a price for its attempts to cling to its unipolar "international order." It is a price that the American people will pay economically and in terms of blood of their armed forces, a price that American special interests will continue shifting onto the American people themselves for as long as possible. Trump's campaign mantra of "make America great again" echoes hallow in the face of this reality, exemplified in Asia in terms of US policy versus Beijing, but a reality that is repeated across the Middle East, North Africa, Eastern Europe and beyond. As long as Trump continues pursuing policies put forth by unelected special interests at the cost of those who voted him into office, America's position internationally will continue to fold and as more resources are poured into futile efforts to reverse this otherwise irreversible trend, America will never be "great" again.